Plastic skylights shall be standard units, Cat. No. _________ as manufactured by Dur-Red Products. They shall be factory fabricated, each consisting of a one-piece acrylic plastic dome, extruded aluminum retaining frame and curb frame sloping condensation gutter for drainage. The retaining frame shall have a minimum thickness of .070. 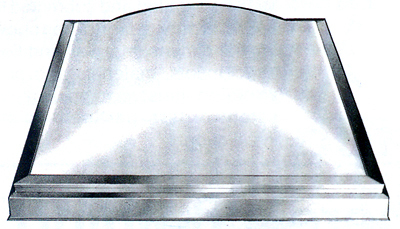 Skylights may be specified with either clear or white translucent acrylic dome.